The wind industry is still a young industry but we can employ existing operational experience to inform the planning and development of new projects. Where experience identifies scope for improvement the wind industry must continually challenge and improve on existing methods. One example of this is the frequent failure to obtain a meaningful performance warranty on wind turbine purchases. Most people would not spend a few hundred pounds on a washing machine without a decent warranty in place so why invest millions in a project projection which relies on power curves which are not warranted? Why not hire us to give a useful second opinion on your existing or planned turbine supply warranties? Another potential improvement for future development projects is the possibility to incorporate energy storage. With increasing wind energy installed it will be ever more important for wind farm owners to have energy storage at their disposal since without this option electricity prices are likely to be depressed during times of high wind due to the increased supply from wind farms. This means that without energy storage wind energy will be less profitable exactly when it is most productive. Wind Farm Analytics offers research and cost benefit analysis on how wind farm owners can include energy storage within their projects in order to add new revenue streams from energy trading and eliminate the risk of crippling low prices. Another positive side effect offered by energy storage is the capability to capture curtailment energy instead of just having to dump it, as wind farm operators are increasingly being ordered to do upon instruction from the grid. The upshot is that renewable energy projects can overcome the much discussed problem of intermittency or variable supply by the inclusion of energy storage in order that the renewable generator may deliver its energy to the grid when it is most needed and therefore more profitable. Wind energy and other renewable energy projects which incorporate their own energy storage could gain massive competitive advantage over those that do not. Why not hire us to point out some possible energy storage options for your existing or future projects, including cost-benefit analysis? energy storage studies to match your wind farm project. 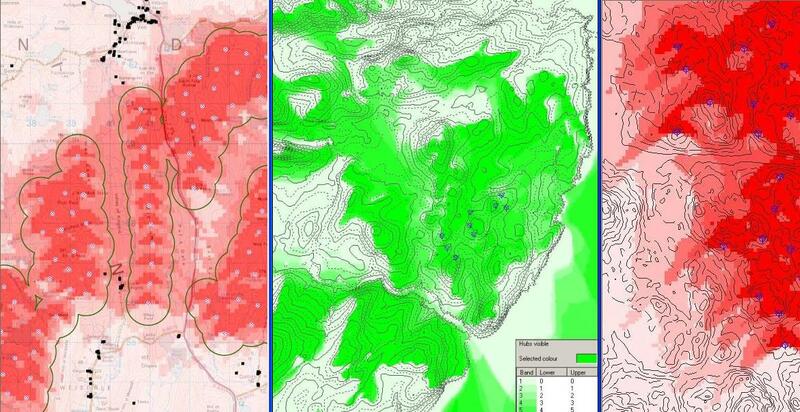 Shadow flicker impact heat maps and zones of visual impact for wind farm development environmental impact assessment.